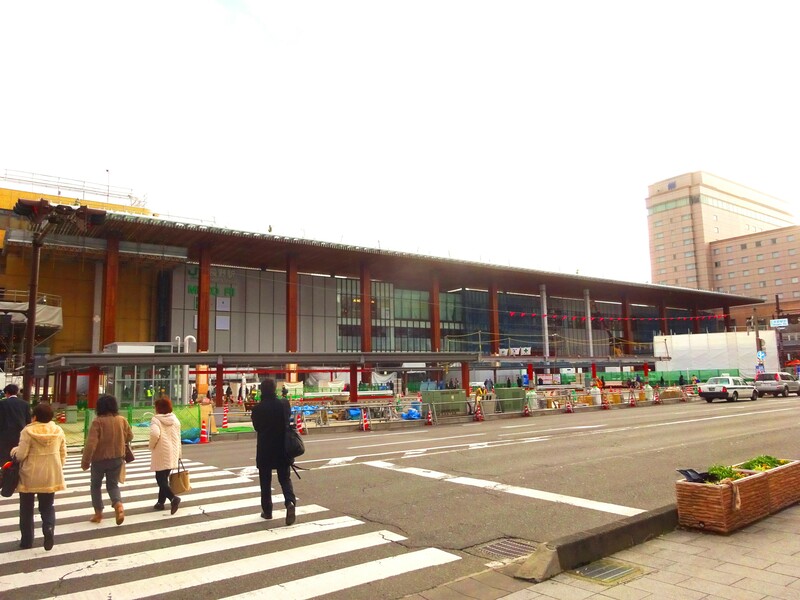 There are some big renovations going on at Nagano Train Station at the moment with the west exit being totally re modeled. 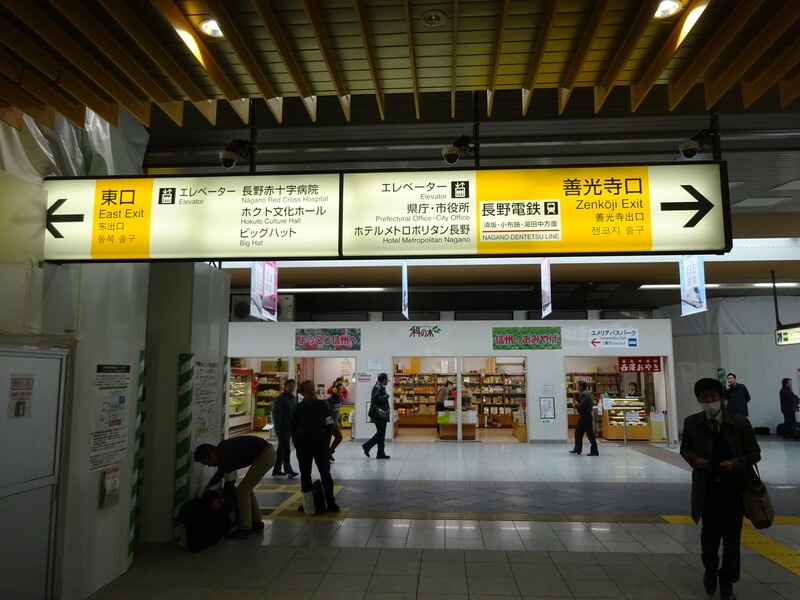 There is a new ticket office for the Shinkansen line however everything else remains the same in regards to the bullet train exit and entry area..
As you come out of the ticket check stalls you will see this sign. Turn left if you want to catch the Hakuba bus. Walk about 50 meters and make your way down the stairs then turn left. 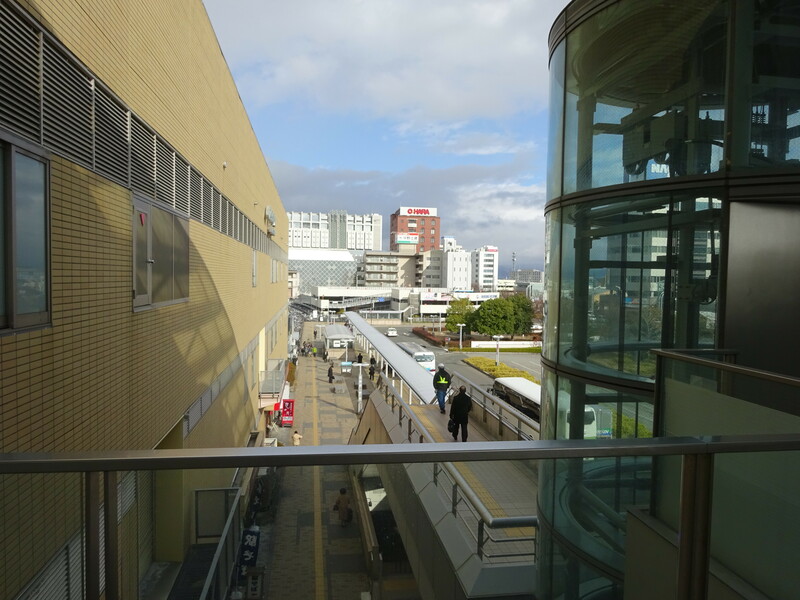 Walk down the stairs to the street level and you will see the bus stops. The Hakuba bus is at the end at stop No. 26 You can buy your ticket at the shop just under where this photo is taken. I have simplified these instructions just to make it as easy to get to as possible. There is an escalator if you turned right at the bottom of the set of stairs. There is also a lift which is in the last photo. 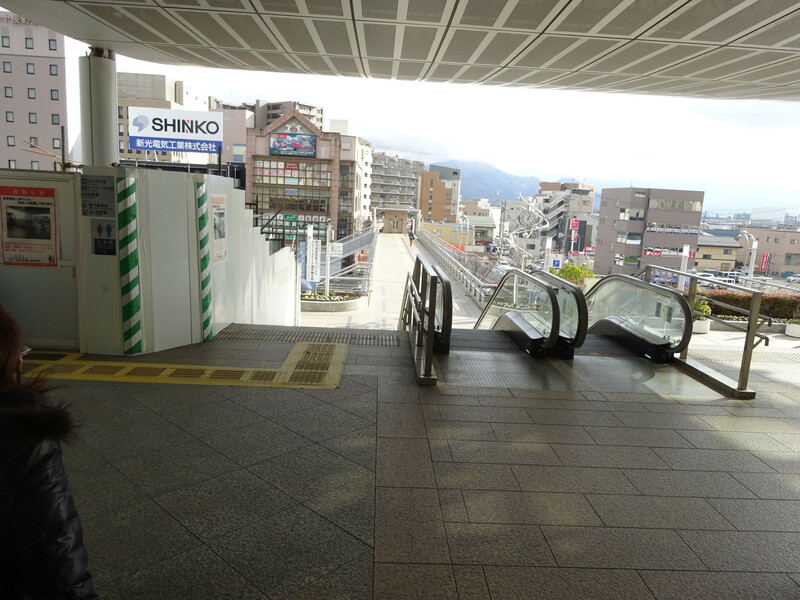 This entry was posted in Information and tagged getting to Hakuba by bullet train, Hakuba bus to Nagano, how to get to Hakuba by bus, Nagano bus to Hakuba, Nagano Station. Bookmark the permalink.